Celebration Station in Gorleston-on-Sea near Great Yarmouth, is a great place to pick up a range of items for your special celebration including foil balloons, banners, sweet carts and chair cover hire. From Great Yarmouth follow signs for Gorleston-on-Sea. Approaching the town centre from the High Street take a left turn at the crossroads onto Baker Street and bearing onto Baker Street straight ahead where the road bends. 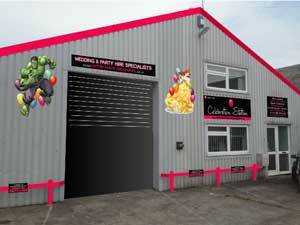 Celebration Station is located in the units behind Gorleston Tyre & exhaust Centre.